Essex House, a 1933 landmark on Billionaire’s Row, has both condos and rentals. Many prewar residential buildings in New York City have either been converted into co-ops (where residents are shareholders rather than owners), or operate as rental buildings. Finding a condo in a building completed before the 1940s is rare. 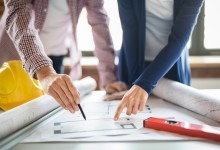 If you do, chances are it may need renovating, which is great if you’re looking for a project, less so if you want something that’s move-in condition. On the plus side, you’ll likely get those enviable architectural details like high ceilings, arched doorways, and large windows. 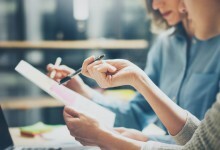 It's worth keeping in mind that condos are generally priced higher than co-ops, which require significant scrutiny for shareholders. 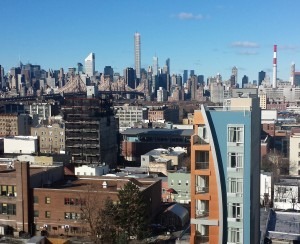 But prewar condos will often be cheaper than comparable units in a new development. Elliot Bogod, managing director of Broadway Realty, says prewar condos make sense for buyers who like to know the building's financial and historical pedigree. There’s security in knowing all the units have been sold, possibly several times. That’s not something that’s guaranteed when buying in a new development. “In most cases, the mortgages [of prewar condos] are approved by Fanny Mae and Freddy Mac," Bogod says. Plus, there’s a finite number of prewar condos, which makes them more exclusive. When you consider the price point of a prewar condo verses a condo in a new building, Bogod says prewar are often more reasonable. 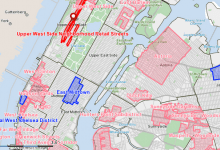 He points to Harlem as an area with a great prewar inventory that he says is less expensive per square foot than the rest of the city, south of 90th Street. A co-op, prewar or otherwise, will generally be more affordable than a condo but that means you're a shareholder rather than a property owner. If the unit needs upgrades, a renovation project in a co-op can be harder to get past the board. 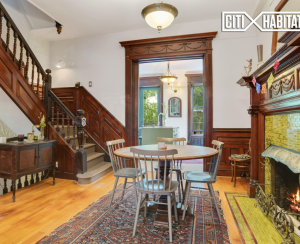 Many buyers like prewar condos because the buildings have stood the test of time. “They have a history you can check,” says Bogod. “You can get your attorney to check the condo minutes and the history, which goes back many years so buyers can see the condition of the building.” This might be more reassuring for some than buying in a new development where you don’t know if the next cold winter will freeze the pipes in the basement. That’s not to say prewar condo buildings aren't without surprises. Some new developments offer savings through tax abatements, a break in the taxes on the building for a certain number of years. While that's good for a certain period of time, Bogod says you need to be prepared when the abatement ends. "In prewar condos there is, at least, certainly in tax assessments. You already know what the taxes are so there are no surprises," he says. Prewar buildings don't always come with gorgeous facades, high ceilings, and large windows. Carl Shenton of Shenton Architects says, "Some prewar buildings are plain vanilla, big buildings with step backs and normal floor to floor heights. Others we’ve worked on are a bit more unique and do have a lot of historic character that you can reveal in different ways, maybe brick walls, or steel or wood structures that become pivotal moments on the interior space," he says. 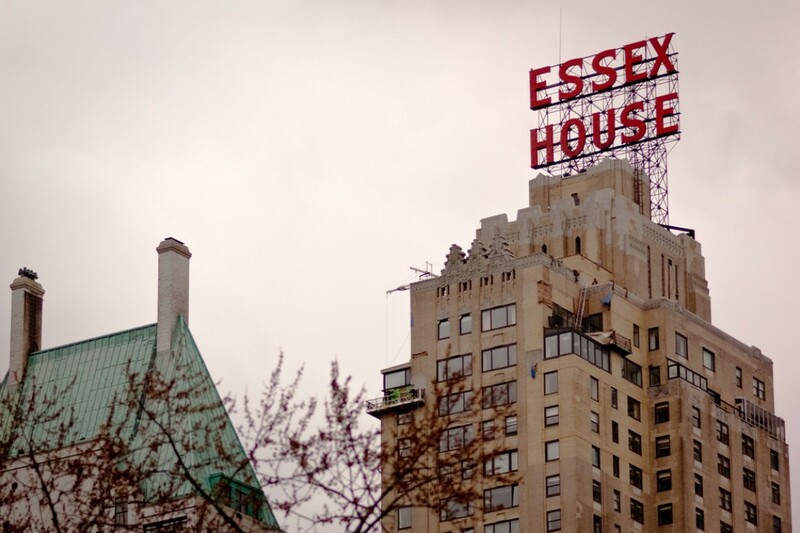 Some of these buildings are classic pieces of the New York City skyline, like Essex House with its distinctive signage. “High ceilings, larger windows, these are important to many people who buy prewar condos,” says Bogod. Built before open-plan became a living concept, many prewar condos still need gut renovations and that adds to the expense of the purchase. Shenton says "in many cases they’ve been tinkered with many times over the past century, so when you start opening up walls, it’s a can of worms, with different kinds of wall construction, electrical and plumbing, some live, some dead. I think on the negative side with these buildings there can be a lot more surprises." Christopher Kromer, a broker with Halstead, points out prewar units often have a dining room rather than a dining area but says they often "have smaller closets and these days when we all seem to be accumulating so much stuff, this can be a drag." However, if the apartment has been renovated well, Bogod says prewar condos often look better than the new constructions. “They have central air, new wiring, and a modern classical look”. Greg Epstein of gne Architecture says prewar buildings "tend to be pretty solidly built." He points out they sometimes have gypsum block walls, which is great for soundproofing but harder to demolish during a renovation. He says sometimes it's easier to redirect the plumbing in a prewar condo because the pipes are buried in ash beneath the owner's floorboards. In post-war buildings, the plumbing is usually in your downstairs neighbor's ceiling. Yes, you read that right. It's typically considered easier to renovate a condo than a co-op for the simple reason the board approval is easier obtain in a condo. While this might be the case, it often comes down to the building management. Shenton has renovated units in both co-op and condo buildings. "One of the worst buildings I did work on was a condo on the Upper West Side and the management were super strict for reasons that made no sense. I’ve had a co-op in Gramercy where they’ll work with you and say, 'Well if you want to do this, then it’s a no, but if you want to do it that way, it's a yes, and you can work with our building or architect before you apply and get a denial.'" Once you've done all that renovation work, as a shareholder in a co-op, you'd need board approval to rent out your unit for income, but owning a condo gives you a bit more flexibility.